How will the gradient of pressure change ???? When the word gradient is used there is a distance involved . Pressure gradient between two points separated by a distance ... I don't think you mean this , if so where are the two points?? Restate the question in different words . Does this relate to a practical problem ??? a water filter or something like that??? The pressure will be the same all through the fluid , until it enters the wall of the filter ..
You are changing from cylinder to sphere ...if the surface area of the sphere is the same as the cylinder.... and the wall thickness is the same , the inside pressure will remain the same , and the pressure gradient will remain the same. but there will be stress concentrations in the corners. but they are more difficult (more expensive) to manufacture. cylinders pack better than spheres. than a spherical water filter cartridge. Lastly it will be easier to ensure an even flow through a cylindrical filter than through a spherical filter. Well spotted about the water filter Oz. And moreover asking for more information. But the pressure (and its gradient) will be far from constant throught the filter when the water is flowing, which I assume is the intended application. There is no point in water standing in a filter. Constant pressure refers to the static situation. Edward you need to describe the filter properly. Where does the water enter and leave and how would you propose this for a sphere? 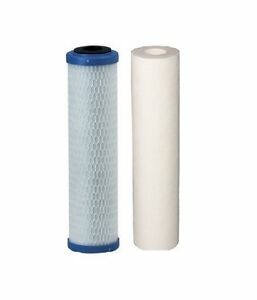 It is usual for water to enter axially at the end of the cylinder pass through the filter wall and leave again axially through another pipe in one end. As such it spreads out, of necessity changing the pressure, and then refocuses to leave by the exit orifice again. So the pressure distribution cannot be discussed without detailed knowledge of the filter. I was assuming this was similar to the water filter I have , a large internal space full of entering water ... the water in that space is effectively at the same pressure When it penetrates the wall of the cylinder then there is a pressure gradient to the outside surface of the cylinder . The base of the cylinder is closed. You can see the hole down the core of these filters , about an inch in diameter, in there the pressure must be effectively equal because the flow rate is so slow. This thread has still got me puzzled ???? Last edited by oz93666; Jul 16th 2018 at 04:43 AM.